These days, Christmas is celebrated in some form almost everywhere, but every country has its own ways of putting its unique flavour to it. We have collected a few examples of Christmas celebrations around the world. 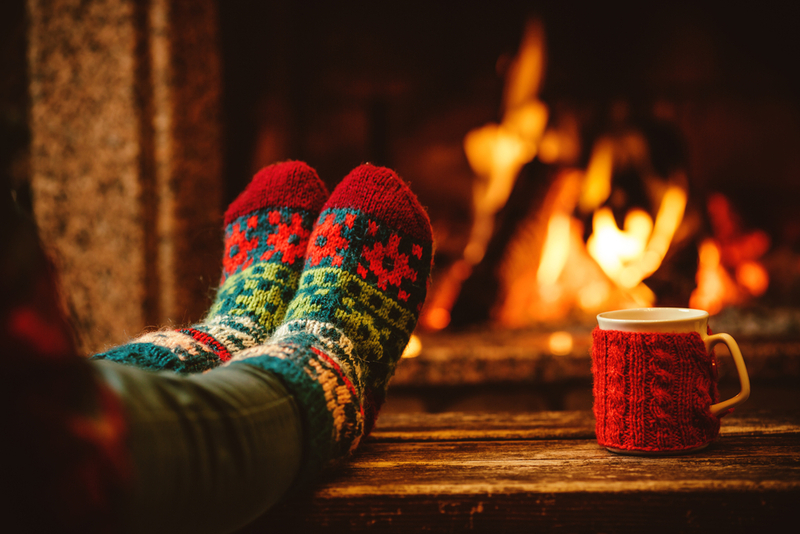 Maybe you’ll be inspired to try some of these traditions at home! 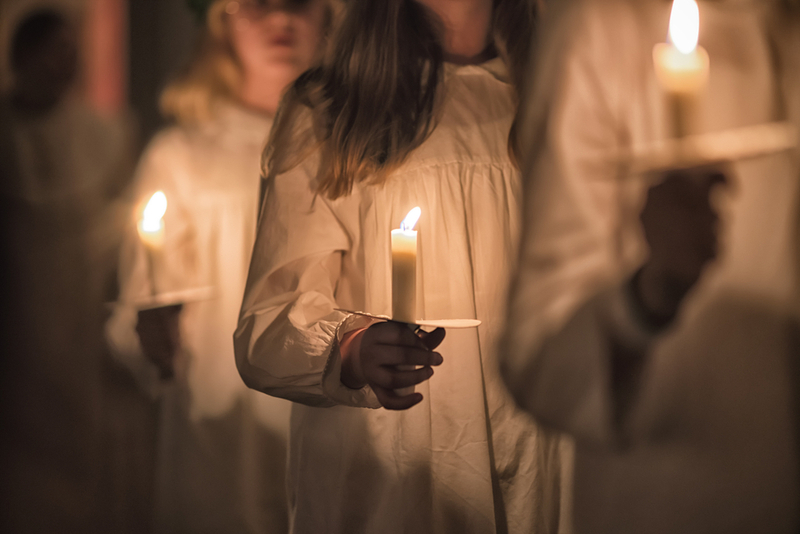 Saint Lucia’s Day has been celebrated on December 13 for over 400 years, and Swedes excel at it. The most important part of the celebration is a procession of white-robed singers, with a singer representing Saint Lucia at the front, crowned with candles. The famous Gävle Goat, Gävlebocken, is also part of traditional Swedish Christmas. This huge, 13 m tall goat is put together from straw over a metal frame on the first advent. It has been built again every Christmas since 1966. Last year, the goat avoided being vandalised, but it has been burnt or destroyed 37 times. It has become an international pastime to see what happens to the goat each year. January 13 marks the end of Christmas in Sweden. This day is called Knut’s Day (Tjugondag Knut). The day is also familiar to Finns, and both Finns and Swedes get rid of the Christmas tree on this day – though Swedes have turned even that into a celebration! In Germany, preparing for Christmas involves crafting or buying an advent wreath, Adventskranz. There are spaces for four candles in this evergreen wreath, and the candles are lit in turn on each advent Sunday. Saint Nicholas’ Day (Nikolaustag) takes place on December 6. Even though Nicholas brings presents to children, he is not exactly the same as Santa Claus. 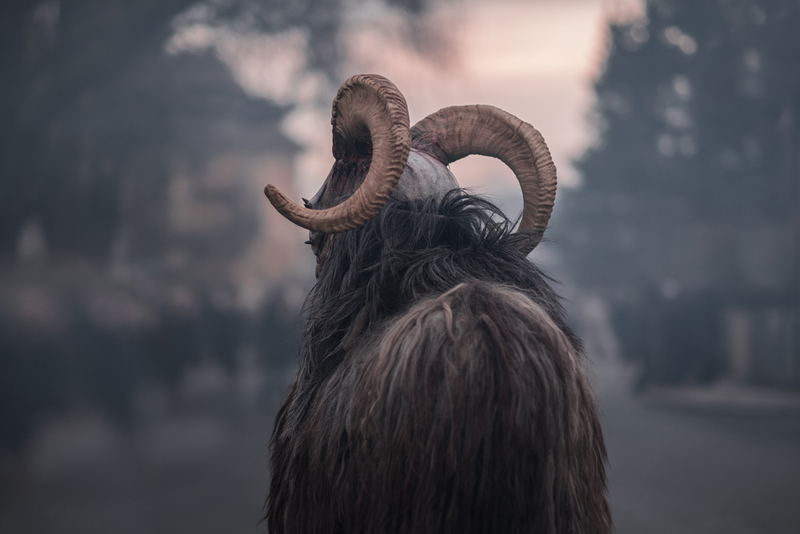 In Southern Germany, Austria and the Tyrol region, Nicholas is accompanied by the horned Krampus, who punishes naughty children. In the Berchtesgaden area, there is even a festival where people dress up as frightening Kramperl and go around carrying bells and frightening the masses. One of the best known German Christmas traditions is the Christmas market, known as Weihnachtsmarkt or Christkindlmarkt. Christmas markets are for hanging out, buying presents and enjoying the Christmas spirit. Most Spanish people go to the midnight mass on Christmas Eve. The mass is known as La Misa Del Gallo, literally “Rooster’s Mass”. The name comes from the legend that claims a rooster crowed on the night baby Jesus was born. December 28, Día de los santos inocentes or Holy Innocents’ Day in Spain and Latin America, is similar to April Fool’s Day in other countries. Funny pranks and jokes are the spirit of the day. After all, inocente doesn’t only mean “innocent”, but also “gullible”! On Epiphany, January 6, Spanish people celebrate Three Kings’ Day. 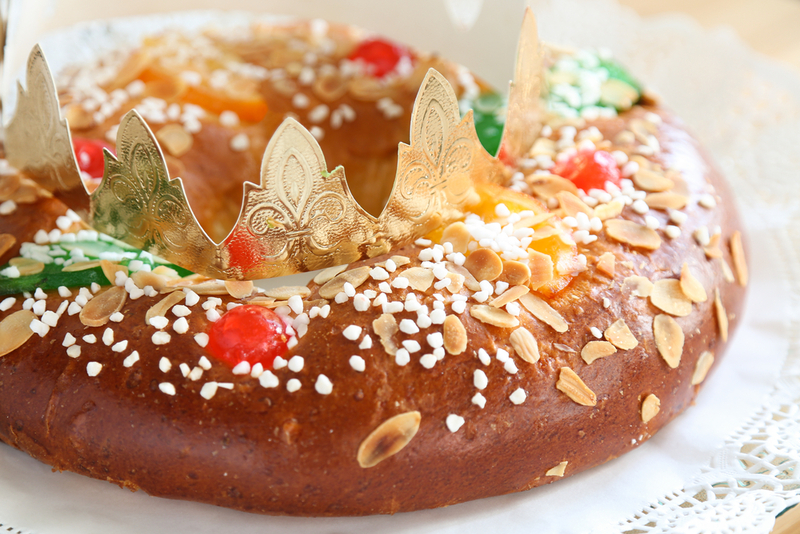 The three wise men from the East are celebrated by eating king’s cake, Roscón de Reyes. In Russia, the highlight of the year is not Christmas but New Year (новый год, novyi god). An essential part of New Year’s celebrations is Old Man Frost (Дед Мороз, Ded Moroz), who is dressed in a fur coat and a round hat. He has a long, white beard and rides a horse-drawn sleigh. Old Man Frost’s job is to give presents and fulfill wishes. 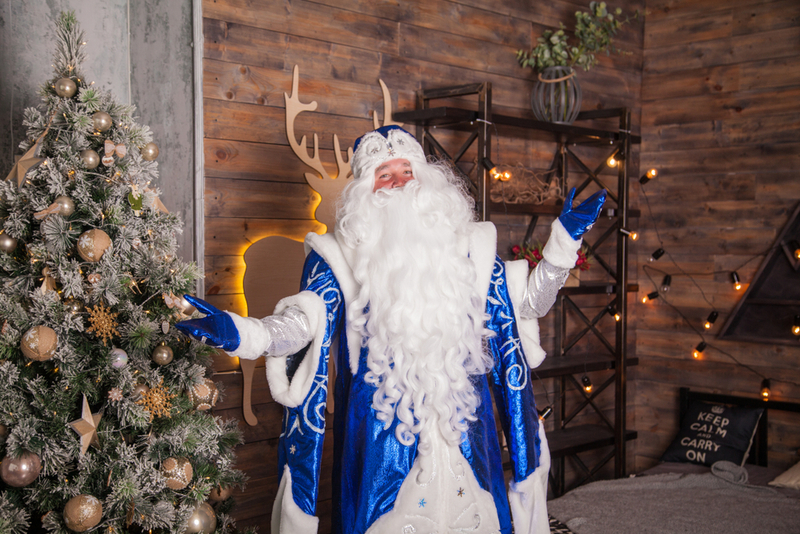 Christmas in its current form is quite new in Russia, having been celebrated only from 1991. It’s not as popular as New Year. According to the Julian calendar, used by the Russian Orthodox Church, Christmas or December 25 takes place on that day that is January 7 for most people. Christmas has only been celebrated in Japan for a few decades. It’s not a religious holiday and is meant for spreading happiness and joy in general. In fact, Christmas Eve has become a day for romance, resembling the Western Valentine’s Day. Couples give presents and go out for dinner. The latter is so popular that it’s very difficult to get a table at a restaurant in Japan on Christmas Eve! Fried chicken is a popular Christmas Day meal. On 1974, the KFC or Kentucky Fried Chicken restaurant chain started a “Kentucky for Christmas” (kurisumasu ni wa kentakkii) campaign, which turned out to be a success. Ever since then, KFC’s fried chicken has been a part of Japanese Christmas. You can wish someone a merry Christmas in Japanese by saying meri kurisumasu (Hiragana: めりーくりすます; katakana:メリークリスマス). Christmas seems to begin earlier and earlier in some countries, but according to the Italian tradition, the preparations begin only nine days before Christmas Day. These nine days are called la Novena di Natale. In Italy, one of the most important Christmas traditions is the nativity scene. The city of Naples is world-famous for its nativity scenes, which are called Presepe Napoletano. The scene, which can be several metres high, is built from natural materials such as beeswax, pumice and olive branches. Nativity scenes are also common in homes. It’s common to not have meat for Christmas Eve dinner. Typically, the meal is light and consists of seafood, and afterwards people go to the midnight mass (Santa Messa di Natale). 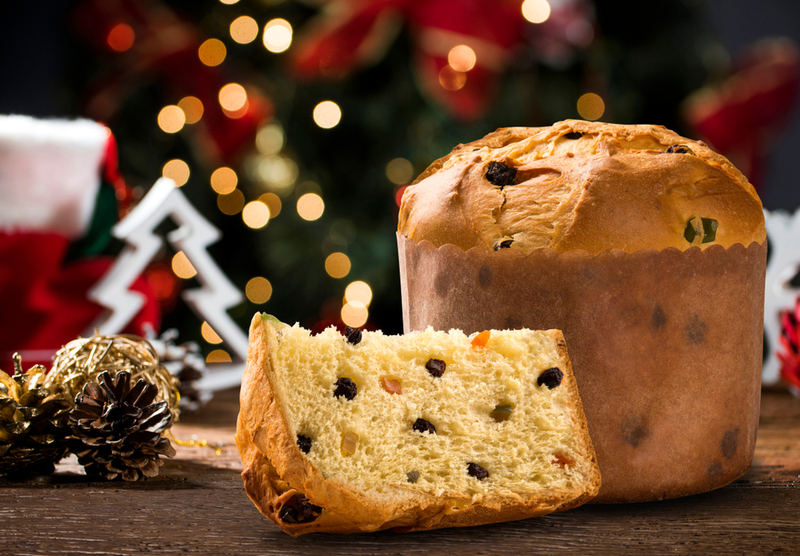 After the mass, it’s time for the panettone Christmas cake, which symbolises hopes for the coming year. In French homes, people burn Yule logs of cherry wood (bûche de Noël). The log is brought home on Christmas Eve and sprinkled with red wine, which releases a nice aroma when burnt. According to tradition, the log and candles are left burning overnight, with food and drink set out next to them in case the Virgin Mary and baby Jesus happen to pass by. The Christmas dinner, called Réveillon, is eaten on Christmas Eve or after the midnight mass. The table is set with turkey, goose, oysters, prawns, game and cheese. 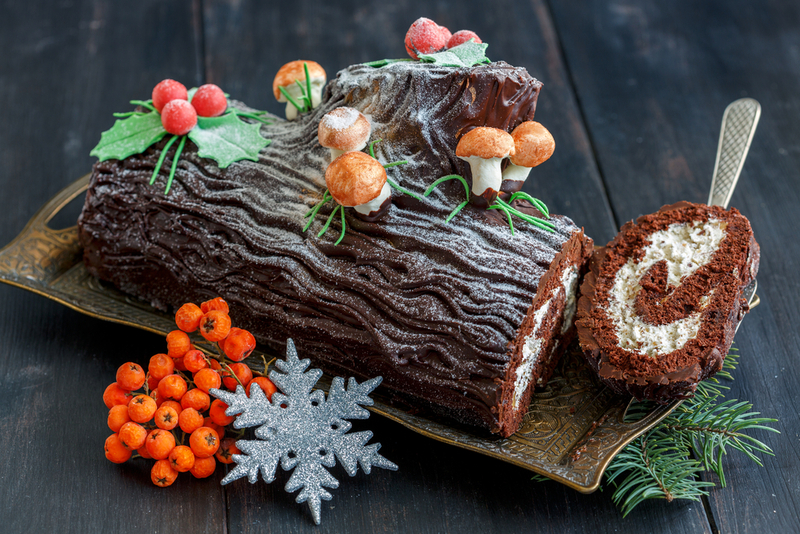 The dessert is – naturally – a cake in the shape of the Yule log! 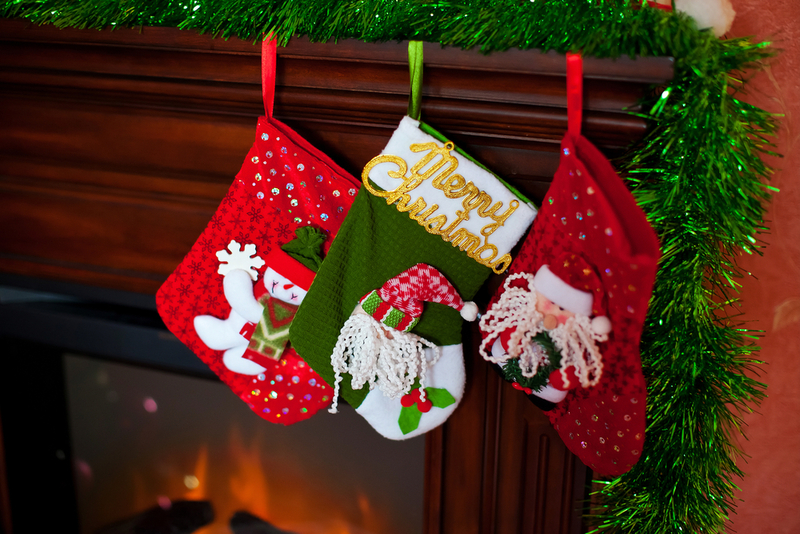 Children in Great Britain believe that Father Christmas or Santa Claus leaves presents in stockings, which are hung from the mantlepiece or the edge of the bed. To prepare for his visit, it’s traditional to leave out something to drink and a mince pie to eat. 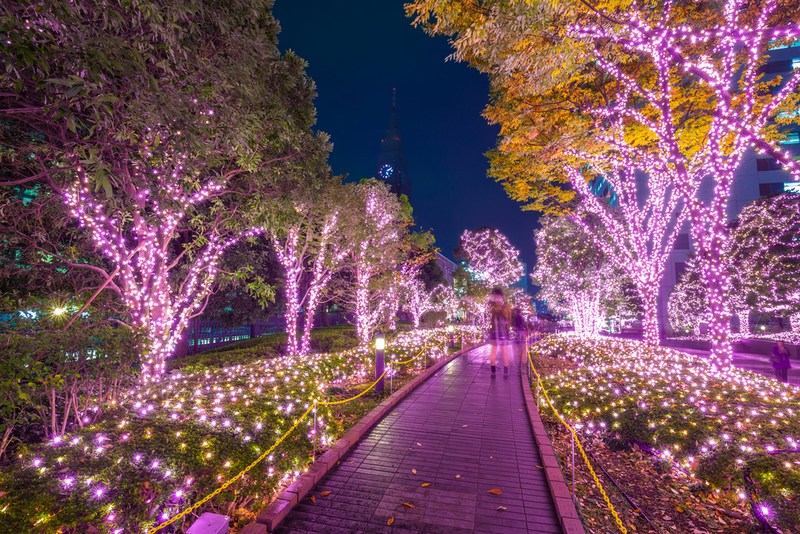 Many villages and cities are decorated with grand light displays, and the lighting of the display is a reason for a big celebration. The displays get bigger and bigger every year, and thousands of people go view them in the early November. Great Britain doesn’t get very much snow, but people still keep hoping for a white Christmas every year. However, the British definition of a white Christmas – also used officially by the national weather service – is that at least one snowflake has been observed falling on Christmas Day! Finland, of course, is where Santa comes from. Children and grown-ups alike from around the world send their Christmas wish lists to Santa’s address at Korvatunturi. 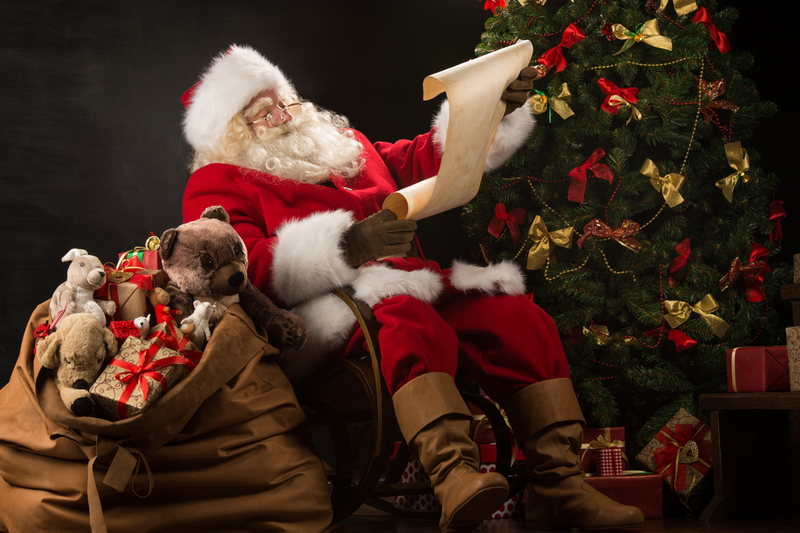 Santa gets a whole lot of mail: about half a million letters reach him yearly. Before Santa, Finland had Nuuttipukki, a figure somewhat similar to Krampus who dressed in the skin of a billy goat (pukki) and went from house to house making noise and frightening children. Nuuttipukki could give presents but also punishments. When the red-coated Santa Claus arrived in Finland, part of the old name stuck, so he is still known in Finnish as Joulupukki (literally, Christmas Goat). Finns like to give Christmas presents to animals as well. Many people put out grain and tallow for the hungry little birds who haven’t migrated south for the winter. And naturally there is nothing better than Christmas sauna!